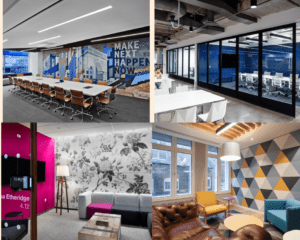 Office interiors company K2 Space is pleased to be supporting the Wrap Up London campaign for a fifth successive year. This year’s campaign, which runs from 9 – 13 November, collects unwanted coats from commuters at London underground stations and distributes them to people in need around the capital. K2 Space manages the logistics for the event, including the vehicles to collect bags of coats from Wrap Up London’s army of volunteers. All K2 Space staff will be involved in the event with some handing out leaflets at stations prior to the collection days, some collecting coats at the stations and others driving vehicles. You can drop off your old coats on Wednesday 11, Thursday 12 and Friday 13 November at the following stations: Kings Cross, Victoria, Waterloo, Canary Wharf, Charing Cross, London Bridge, Liverpool Street, Highbury & Islington and Euston. 14,700 coats were collected in 2014 and then distributed to charities including homeless shelters, centres for the elderly, women’s refuges and youth centres. The target for 2015 is to collect over 20,000 coats with a focus on increasing the number of men’s coats this time around. You can find out more about the event, including how to take part as a volunteer from the Wrap Up London website. The theme of this year’s campaign is that a coat you no longer need can act as someone else’s life line or their life jacket. You can get involved yourself by using the hashtag #GiveALifeJacket on social media.